Duke Energy Center for the Performing Arts, Memorial Auditorium Raleigh, North Carolina The International Bluegrass Music Awards Show, hosted this year by Sierra Hull and Dan Tyminski, is the biggest night on the bluegrass calendar. The awards recognize outstanding achievement and pioneering efforts in the genre as determined by professionals in the bluegrass music industry. The Awards Show features outstanding performances by the best in bluegrass and once-in-a-lifetime moments. 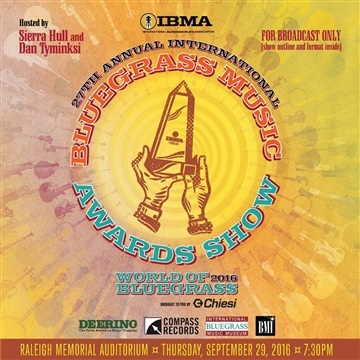 Celebrate bluegrass music with the IBMA Awards!